Its strongly recommended to install this patch in a development environment first as it can effect several popular extensions and customization. Update magento – Upgrading your magento to Magento 1.9.2.2 will include all security patches (SUPEE-5344, SUPEE-5994, SUPEE-6285, SUPEE-6482, SUPEE-6788) released by magento so far. Apply Security Patch to your version – By some reason if magento upgrade is not possible you can apply this security patch via FTP/sFTP upload as shown in this article. 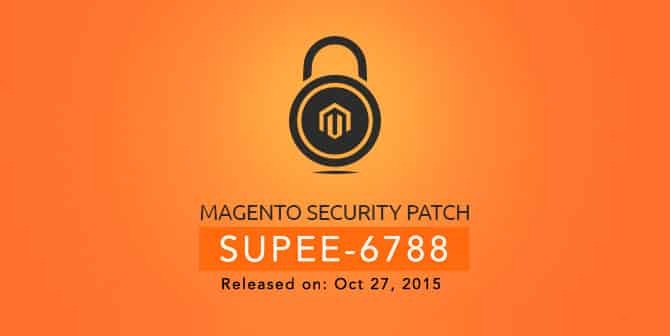 Before applying this patch to magento, make sure you apply all previous security patches for your version of magento. Cautions – SUPEE-6788 can possibly break some third party extensions those uses custom variables and custom admin routes. Checkout if you are using any such extension by verifying it on the community maintained list of incompatible extension. Update all third-party extensions, disable and uninstall any unused extensions. Next step is to upload these files in respective folder on the server using FTP or sFTP. If you have changed any core magento file (not recommended at all though) from the above list, you need to reply your changes to this new patch file and upload it on the server. Once you apply clear your magento store cache to make sure these files are not longer in the cached version. With this security patch magento added a new option in System/Configuration. Its in System > Configuration > Admin > Security as a new option Secure Admin routing for extensions. This option is not applied by default after patch installation. In order to achieve maximum security benefit from this patch Admin routing compatibility mode should be Disabled. Security of online transaction is really important and if you want to maintain trust of your customer in your business, its important to maintain the security of your website. When you use a open source platfrom like magento, you become more vulnerable to such threats. Checkout our magento development services and explore how our eCommerce development services can be beneficial for your online magento store. Checkout 11 steps to insure magento security to bullet proof security of your magento website to secure your website further. In case of any difficulty to apply any magento security contact us or write below in the comment, we will work on it together. Share this post with your social network to let your friends know about this important security update of Magento.